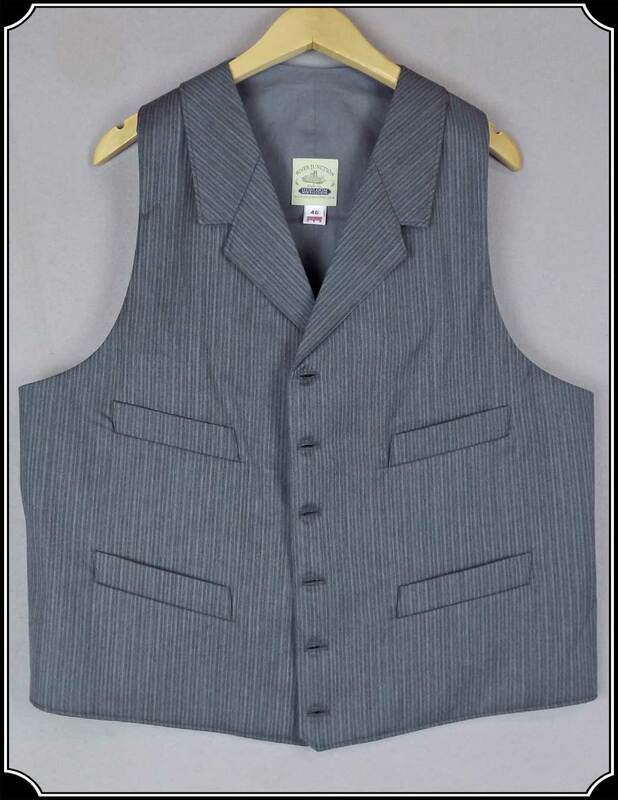 The notched style Victorian vest was worn by just about every man in the Old West. 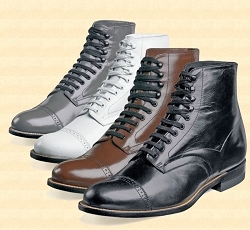 Features a six-button front with notched lapel, two waist pockets and two breast pockets. 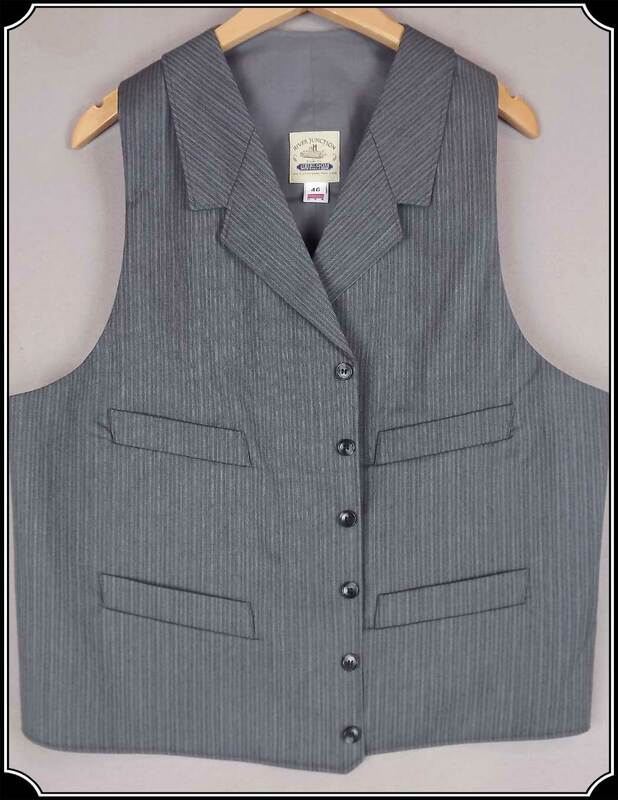 The back and lining of each vest are made of a fine cotton and has a adjustment belt and buckle to achieve your perfectly fitted look. Our vest is fully-lined. Comes standard with a Black back panel and lining. 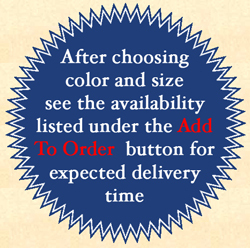 But if you would rather have your back panel and lining in Brown, Tan, or Gray, please include a note to us on your order form stating your back and lining color preference (e.g. "Tan Back and Lining"). There is no extra charge to change your back panel and lining color. Available for a nominal fee is an optional ribbon trim that follows the lapel down the front and to the lining on both sides; also includes pocket edge detailing. Your trim choices are Black, Navy, Brown, Tan, or Gray (please see the last photo below for actual trim colors and placement). A nominal fee is charged for this attractive trim option. 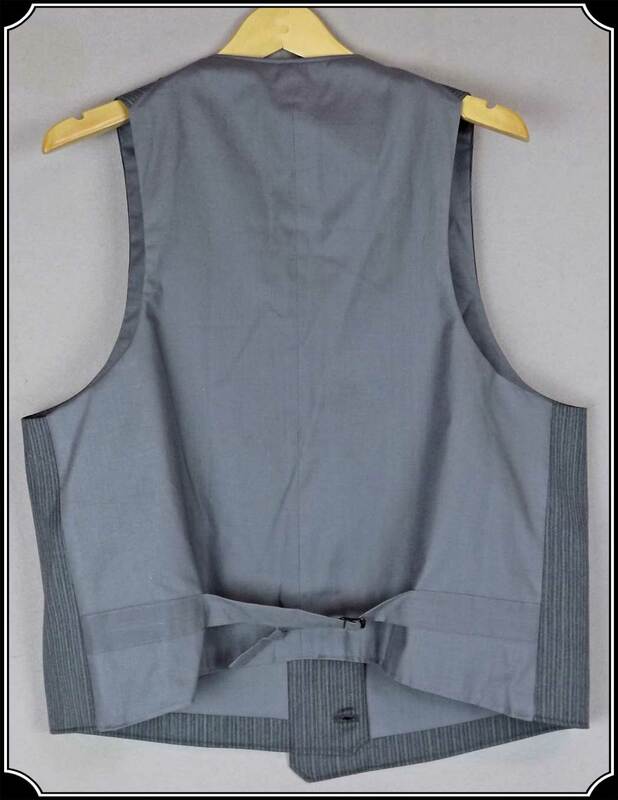 If you would like trim added to your vest, please select the "With Trim" option below and, please include a note to us on your order form stating your trim color preference (e.g. 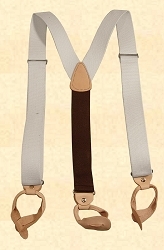 "Tan Trim"). 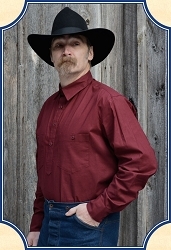 Our customer Keith from Texas, USA writes us: "Just for your information, as a gentleman that wear this style of stuff every day, your notched collar vest has become my all-time favorite. 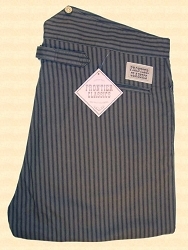 It wears well, and the pockets are large enough to actually carry stuff in them, and not lose it. I foresee this vest lasting a long time, even with daily wear." 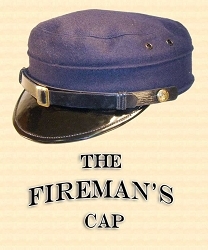 Men's Hat - CHARACTER CAP: Fireman, Conductor. Riverboat Captain, Military, etc.